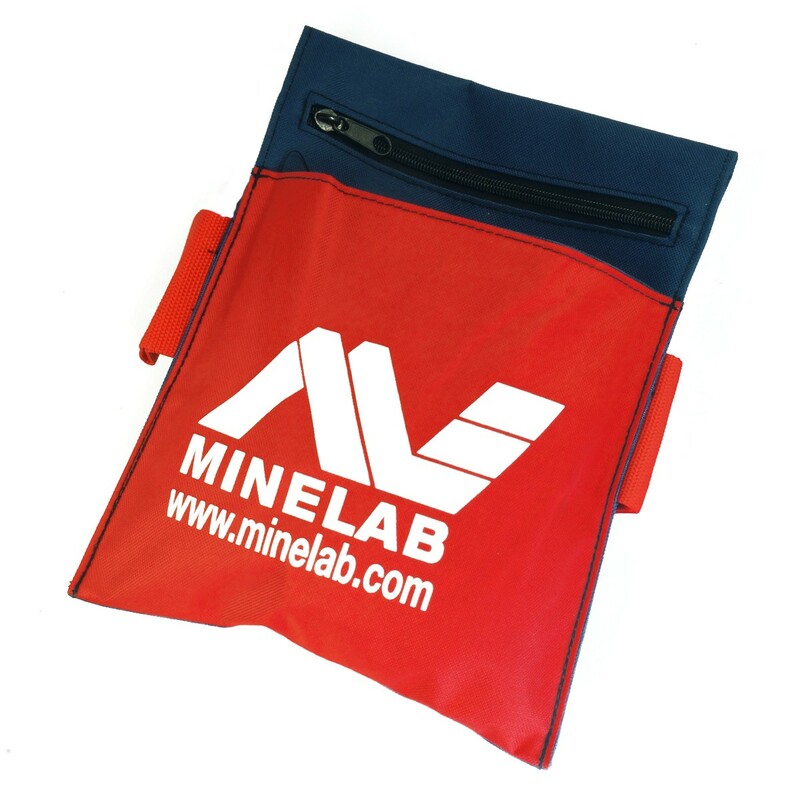 Created using the famous Minelab colors, Red and blue with white Minelab Logo. Pouch is capable of carrying a large number of recovery tools and other items like digger, recovery knife, hoe, pick, pin pointer, probe, etc. There are 5 interior pockets. The main pocket is 9" deep with velcro sealer. 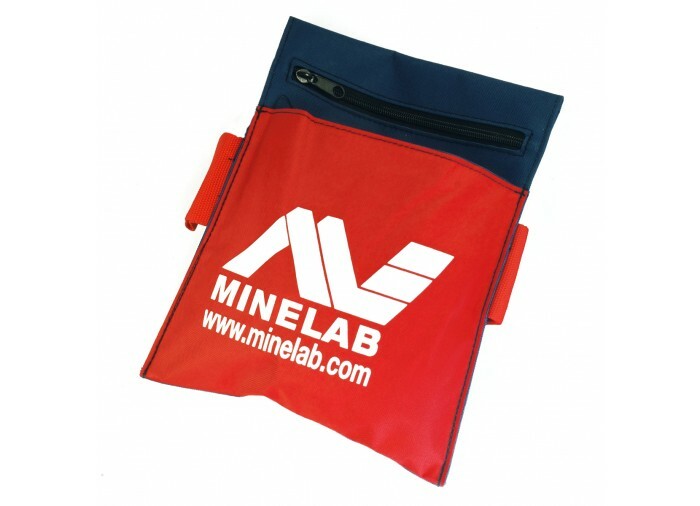 There are 3 additional inner storage pockets and a full length inner zipper pocket to store your valuable finds. Overall size is 10" wide x 13" tall. It has 2 looped side tool holders made from tough 3" belt webbing. Slides on any belt 3" or less. 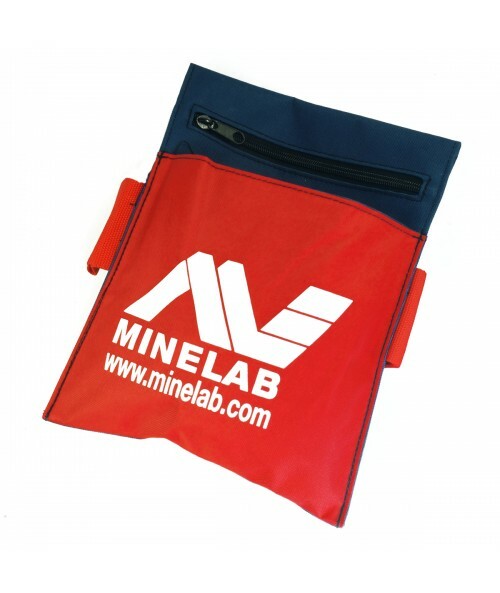 Made with a tough cross stitched heavy duty nylon to give you years of hard use in the field. Cheaper imitations CANNOT use the official Minelab ML Logo. Happy Hunting! Good day, I would like to thank you for your kind cooperation. I found your web site with Yahoo search engine. Kellyco went the extra mile and made the slower delivery problem right. Thanks so much! Your services were great. Nothing needs to be done!